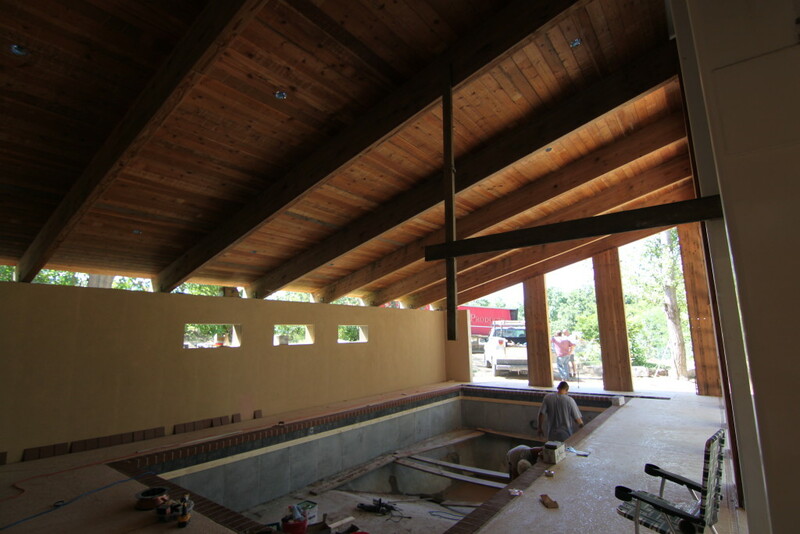 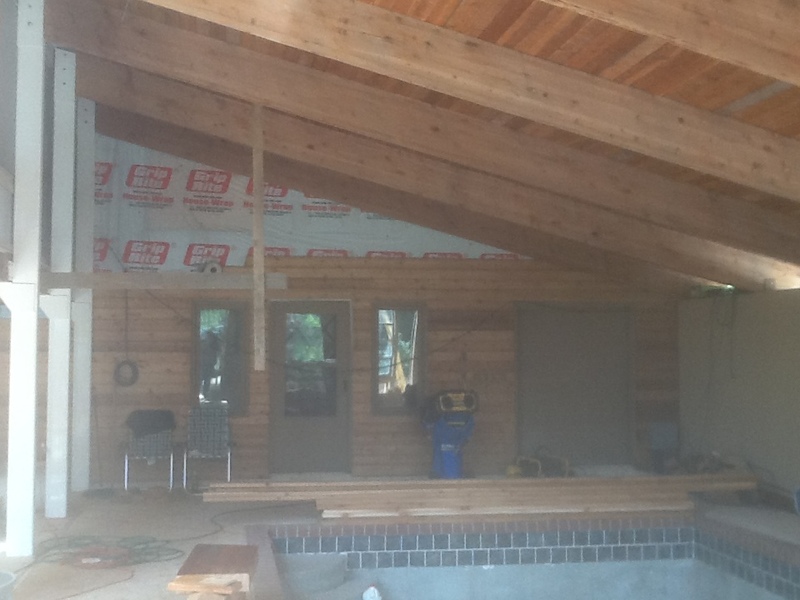 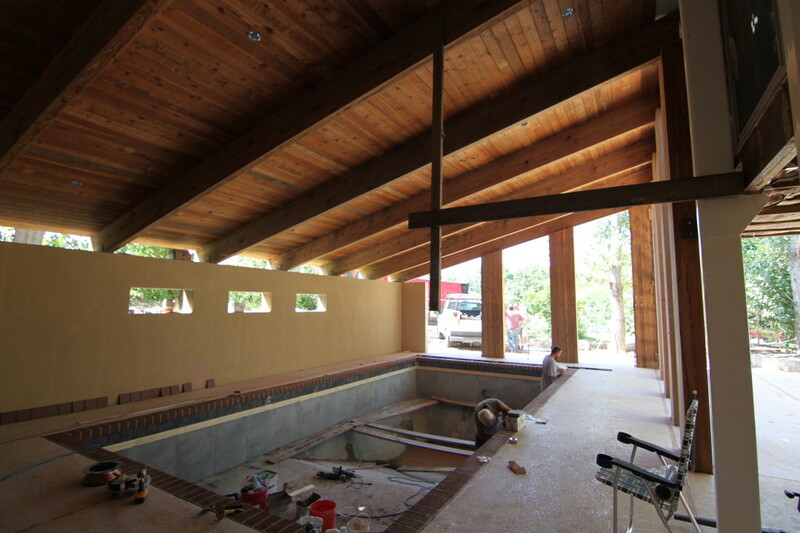 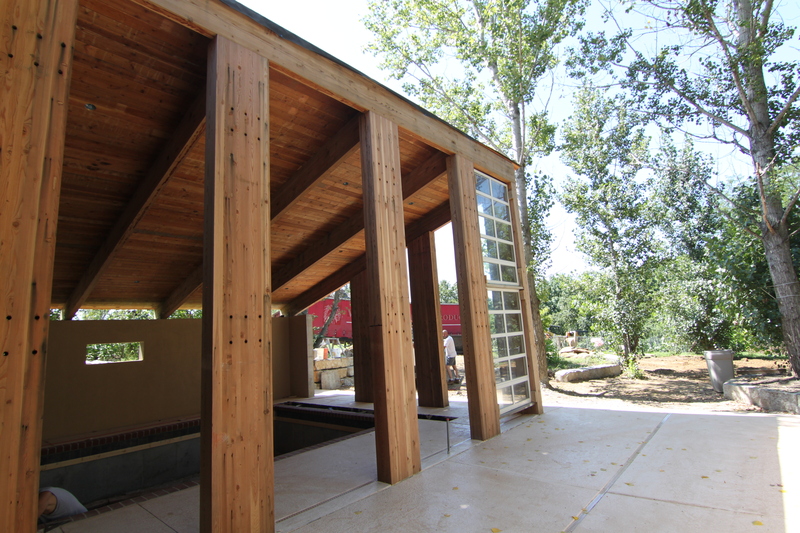 Interior view of the inground pool building built with reclaimed material. The roof structure was previously located on the Menningers Campus. 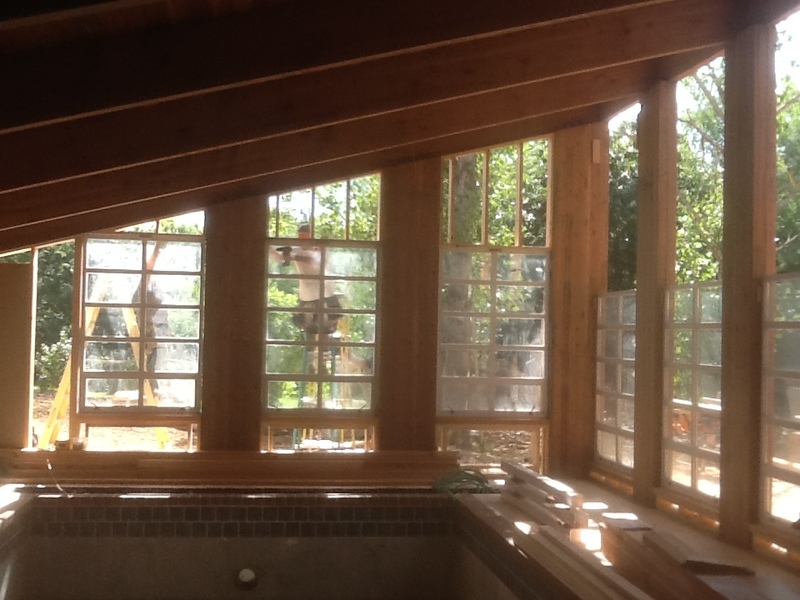 The windows were all used that were salvaged out of a demolished building. Two sides of the pool house was enclosed with windows to allow ample natural light.